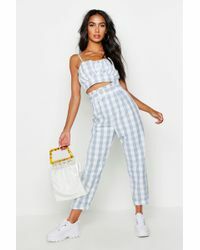 Channel your inner Brigitte Bardot this season with this season's runaway trend - gingham pants. 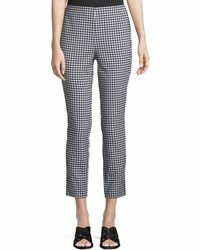 Spotted all over this season's collections from House of Holland to Molly Goddard, these checked pants are definitely ones to watch. 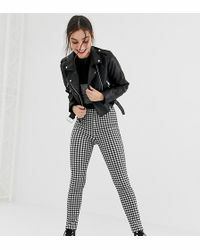 Not a fan of the girly-girl look? 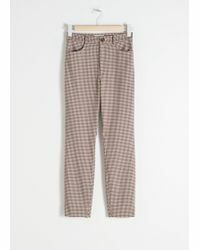 Wear yours with a leather biker and a crisp white button-down for a grown-up take on the 60s favorite. 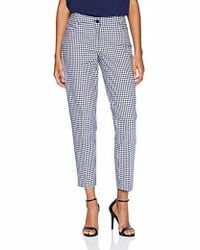 With trending styles by Altuzzara, Paul Smith and ASOS, get a skinny, flared and cropped pair just so you're covered. 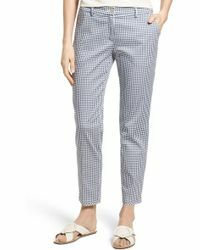 "box To The Drawing Board Gingham Wide-leg Pants"